A luxury experience doesn’t always have to mean an expensive price tag. Follow these tips and discover a number of different ways to find yourself a luxury for less travel deal. The economic downturn of the past few years has had a huge impact on the travel and tourism industry. It has led to an increase in the number of discount travel sites, huge fluctuations in currency exchange rates. 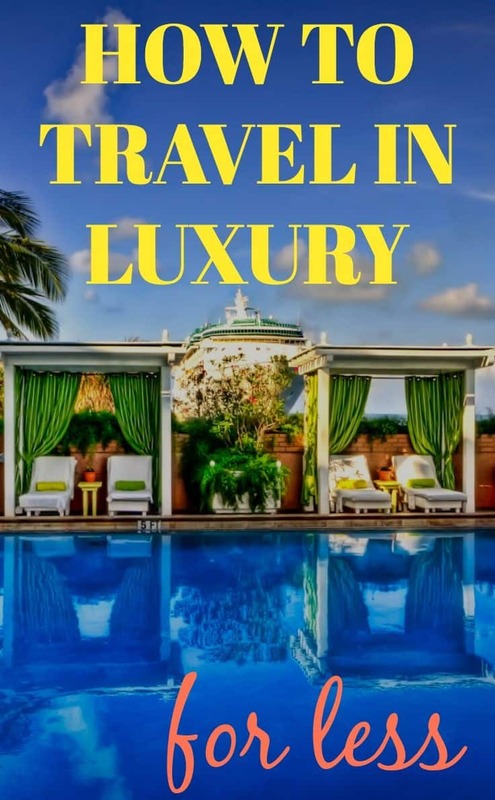 So it’s no surprise that smart and savvy travellers are using a host of luxury travel resources available to find low-cost luxury trips. A luxury experience is no longer just about staying in a chic hotel and indulging in fine dining. A luxury experience is all about the memories that are made along the way. But that shouldn’t stop any of us from finding a luxury travel break to fit our pocket. Travelling out of season is a great way to find luxury for less. Hotels and airlines often dramatically reduce their prices during the off-peak season. Hotels can cut their prices by 50% or more, which means that you can find chic and luxury boutiques hotels for far less. 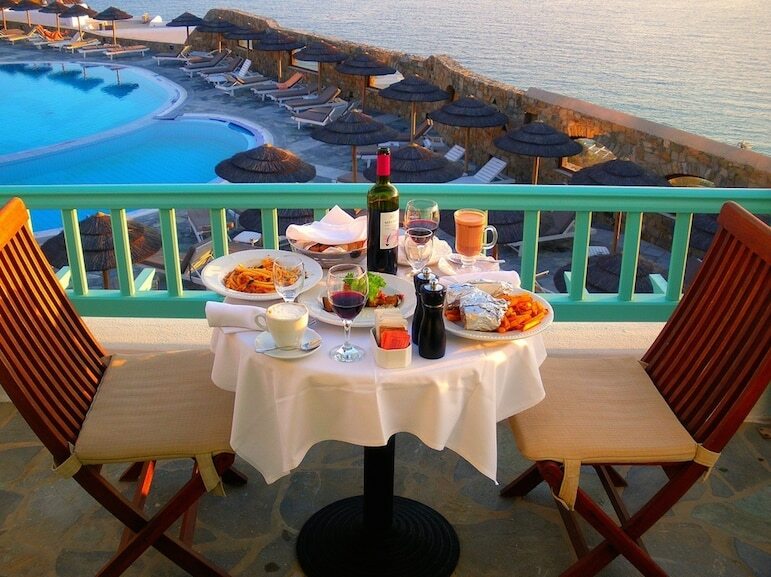 But to find the best deals at any time of year it’s always advisable to compare hotel prices. Hotels Combined is a good place to start because it allows you to compare prices on thousands of online travel agents (the ones you know well, and those you’ve yet to discover) at once. And it can save you up to 80% on hotel rates. Airfare is also reduced during the low season. Skyscanner is a great site for airfare comparison and also for finding the cheapest month to fly to your chosen destination. Don’t be afraid to travel out of season, not only will you find luxury for less but also quieter resorts and destinations. Choosing a destination with a good exchange rate is a useful way to experience luxury for less. If you travel smart, you certainly can get a lot more for your money. With the Euro’s dramatic and on-going tumble against Pound Sterling and the US Dollar, European destinations and now extremely good value. The Euro has reached a seven-year low against the £ and is worth just $1.15, as oppose to $1.45 five years ago. It means hotel rates are cheaper, and of course, your spending money will stretch much further. Factor in a traditionally affordable European country, like Portugal, Greece or Spain, and you’ll find plenty of luxury travel deals for much less than you would have paid even a few months ago. Egypt, Fiji and Thailand are just three low-cost luxury destinations. The average price of a three-course meal for two in these destinations certainly proves that location is key when looking for luxury for less. In Egypt you will pay £152 Egyptian Pounds which is just £13.70 (US$20). Whereas in Thailand your bill will be around 500 Thai Bhat – the equivalent of £10 (US$15). If you really want to experience a low-cost trip then Fiji is the place for you, with the average price coming in at $20 Fijian Dollars, just £7 (US$10). Voucher and discount websites are great resources for liberating luxury for the smart traveller. You really can find fantastic deals when searching for that luxury for less holiday, city break or cruise. LivingSocial, Voyage Privé and Jetsetter are just a few that offer some of the best cut-price discounts on a number of destinations. Deals are often exclusive to members so remember to sign up, this will ensure that you get the lowest prices and emails advertising the best deals. Luxury does not have to mean a large price tag. Take advantage of your location, you are likely to find a number of low-cost and even free activities for you to indulge in. Travel to Bangkok and enjoy the breathtaking views at Sky Bar. The world’s highest open air bar has a ‘sunset happy hour’ every day meaning you can have a taste luxury for less. Do some research on the hotel that you’re staying in. Check on the guest facilities, often you can visit the spa and indulge in an array of activities free of charge. You don’t have to spend a fortune to find luxury for less, instead save on spending and create luxurious memories which will last forever. I’m always looking for luxury experience whenever I travel. Luxury accommodations, meals and etc. I visited 7 countries in 1 year and this luxury experience really cost me a lot. I don’t still have much knowledge about travelling that time. Now I already know how to travel wisely and experience luxury on a lesser cost. But this article give me more knowledge that I didn’t think of.